☁Please Note: Our screen protector is made to be a little smaller than the actual screen of your device. This is to prevent the protector from overlaying these curved edges which can lead to unwanted bubbling and peeling up around the edges. 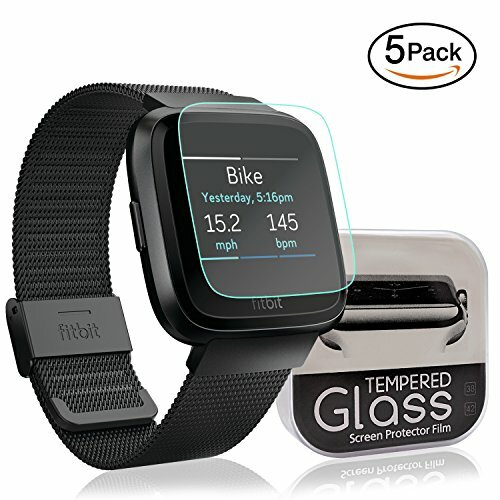 ☁Scratch Resistant: SYOSIN Fitbit Versa 9H Tempered Glass Screen Protector can effectively protect your Fitbit Versa from unwanted scuffs and scratches by knife, keys and some other hard substances.